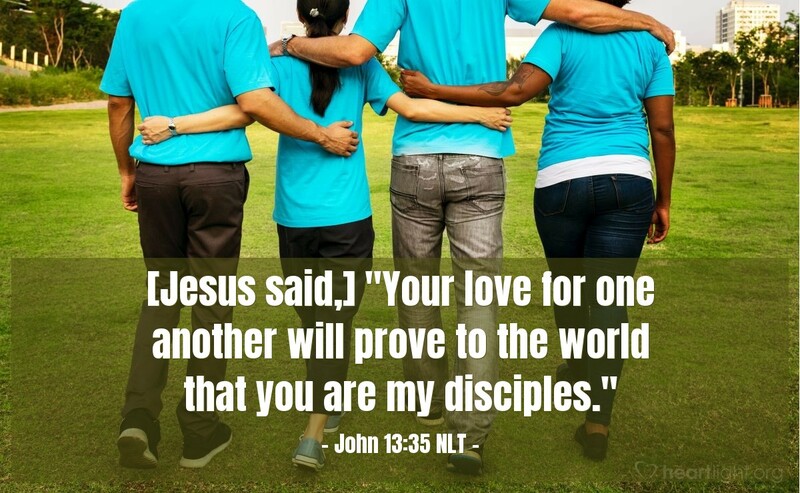 [Jesus said,] "Your love for one another will prove to the world that you are my disciples." Want to know which churches and which groups of people are really Jesus' disciples? Simple: administer the love test. Do they truly love each other? Do they love people as Jesus loved them when he was on earth? Jesus' later disciple and church planter, the apostle Paul, reasserted this truth in his famous "love chapter" when he reminded us that without love for each other, our efforts are merely loud noises that amount to nothing (1 Corinthians 13:1-3). Father, please help me and my church family to pass the love test! In Jesus' name, I pray. Amen.